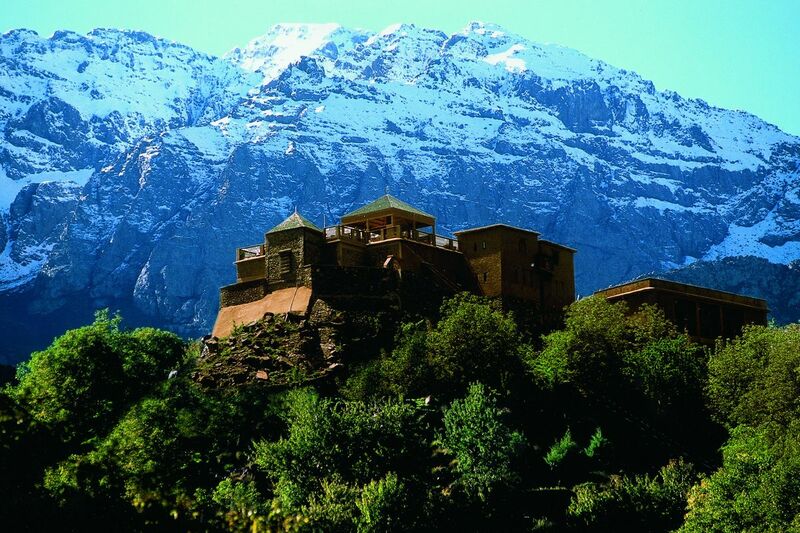 Toubkal mountain, nature and Berber villages. 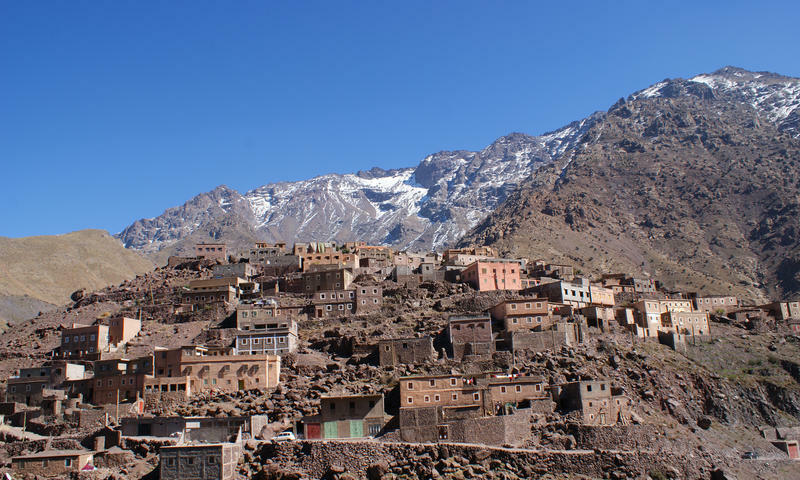 Near Toubkal, a majestic kasbah rises up at 1,800 metres overlooking Berber villages constructed from adobe. 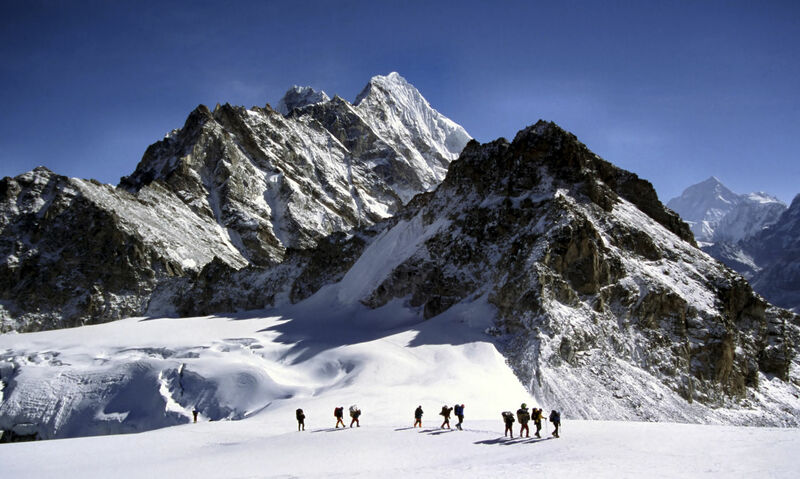 You can admire the extraordinary view of the fertile valley that stretches the length of the oued (river) which winds its way between the Atlas mountain range. Berber lunch on a terrace with breathtaking views.